Two solid ceramic forms interact to create the single, striking silhouette of the K Lamp. The light from this product is reflected off the glazed inside of the ceramic shade and dispersed generously without ever viewing the bulb itself, thus allowing the light to be used in both ambient and working situations. The base form houses the light source and the shade gently reflects the light into the room. This product comes in white earthenware or a tactile unglazed terracotta. All products in our range have a crafted feel, expressing the qualities of the materials they are made from and the process of how they are made. 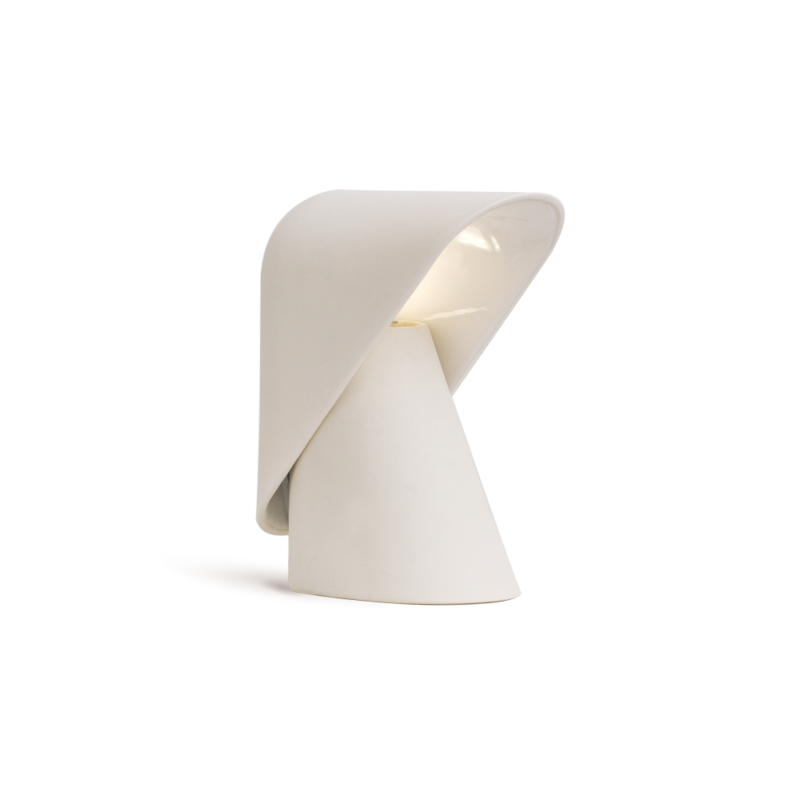 The K lamp is reflection of this crafted and materially expressive design approach. 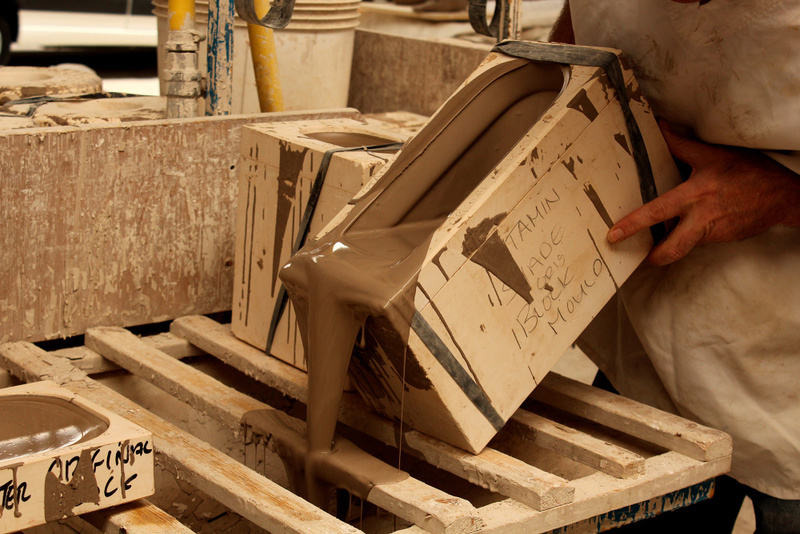 Vitamin has been creating ceramic products in the UK for over 10 years. The K light was born in an attempt to bring this knowledge, expertise and established UK manufacturing into its lighting portfolio. This light is handmade and assembled in Stoke-on-Trent, an area synonymous with exceptional ceramic quality. Located in the heart of London’s East End, Vitamin produces furniture, lighting, ceramics and homeware with eye-catching details that mix refined quality with fun and originality.